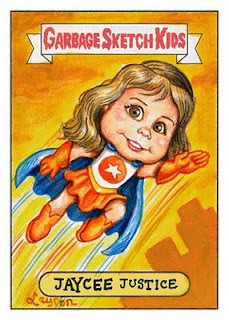 This is a GPK caricature of Jaycee as her superhero alter-ego, Jaycee Justice! A couple of pieces (2.5 X 3.5) for Lulubell Toy Bodega in Tucson, AZ exhibition titled: TOY (RE)COLLECTIONS. 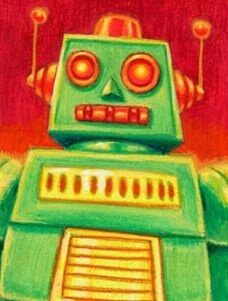 June 5, 2010 thru June 29th. 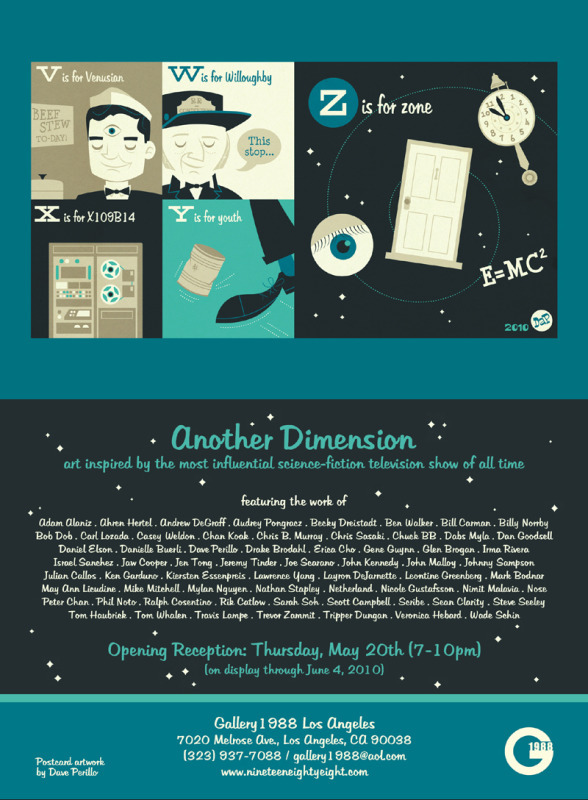 Here's the flyer for the exhibit. 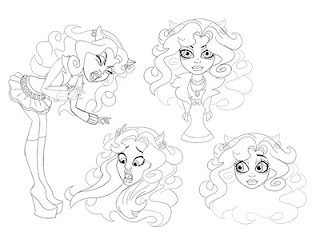 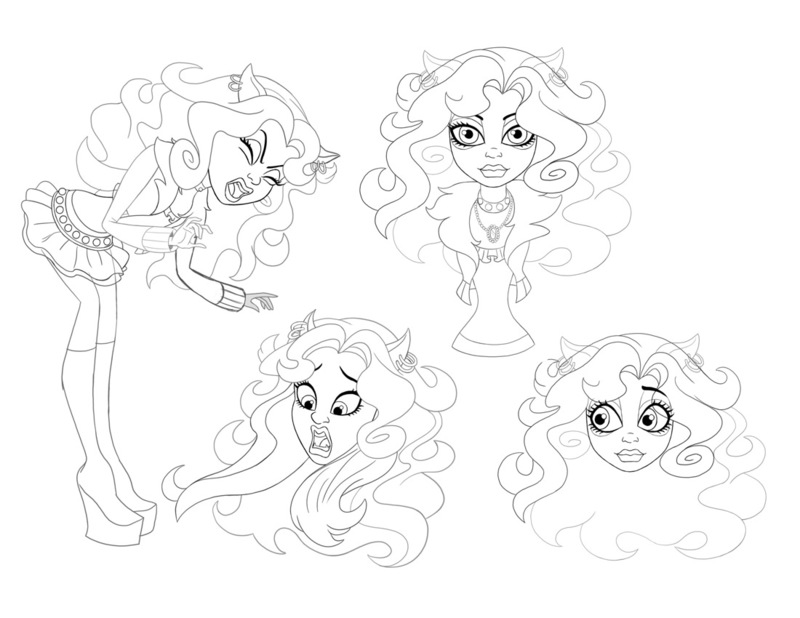 Here are some asset designs I did for Mattel's Monster High web series. 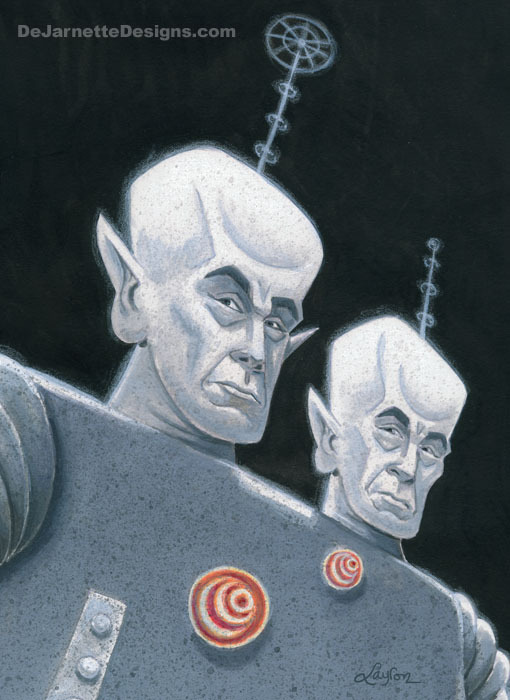 Here are my two paintings for Galley 1988's Twilight Zone Tribute art show. 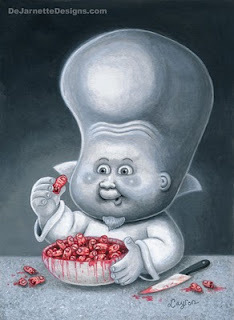 The first one is a GPK style titled: "Kanamit's Finger Food" based on the episode, "To Serve Man" (Painted in acrylics). 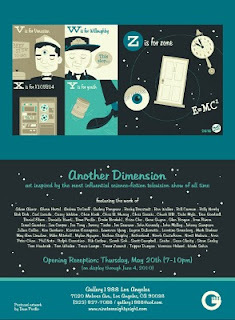 Gallery 1988 will be paying tribute to what is easily one of the most influential television shows in the history of the medium, "The Twilight Zone," with "Another Dimension," where over 50 artists will reinterpret and remix episodes, themes and iconography from classic episodes of the series. 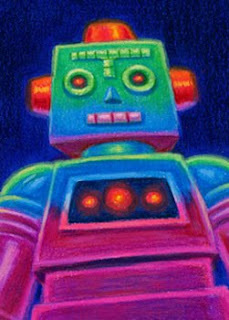 The show opens Thursday, May 20th and will have an opening reception from 7-10 PM.